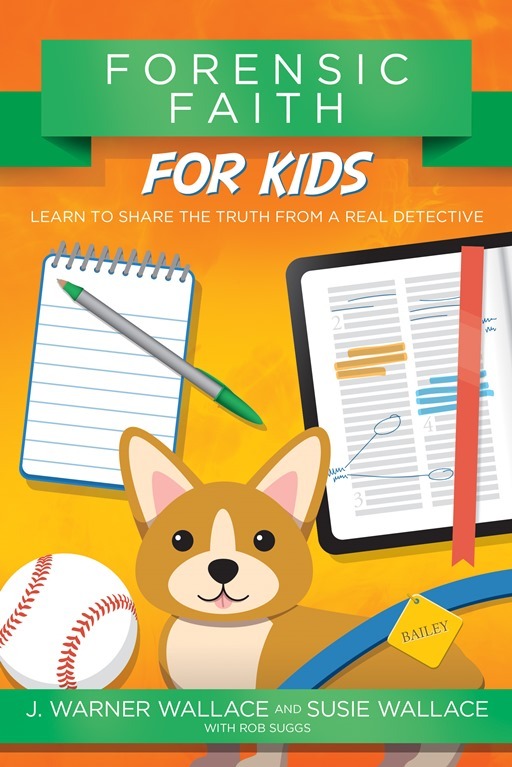 Written by J. Warner and Susie Wallace, this book and the accompanying Case Makers Academy website are very well organized and easy for both parents and kids to understand. This wasn’t a book that took any time for us to get into, it caught EJ’s interest right from the start (not always an easy feat for a boy who isn’t always the keenest on reading). There are a couple of ways you can use this book, either as a simple reading book with clues and tools in sidebars to the text or by having your child create their own Academy Notebook (there are printables on the website) and work through the entire Case Makers Academy. EJ liked having the interactive videos and worksheets that helped him learn more “tricks of the trade” to becoming a detective himself. 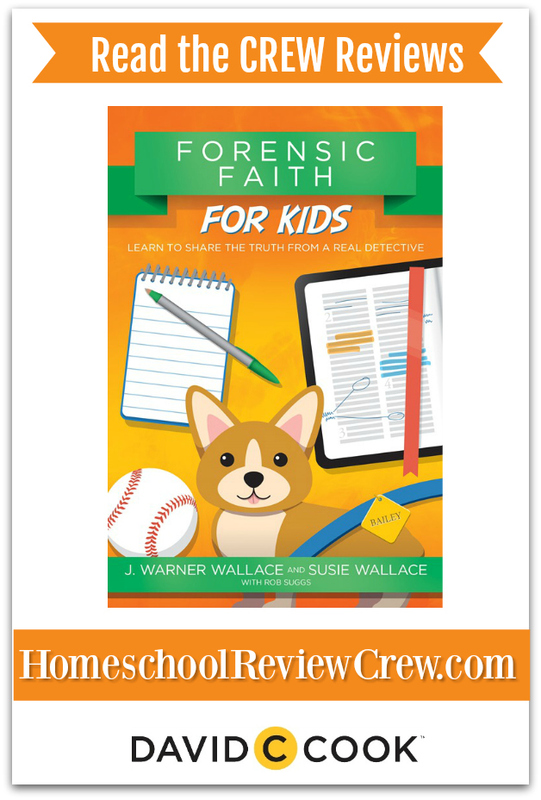 Another way you can make this a family affair is to have parents and any older kids work through the adult “Forensic Faith” book by the same author. We haven’t gotten to that point yet but it certainly looks interesting. EJ and I played some of the notebook games together. They each had him using his reasoning and deductive skills. We definitely found that there was plenty to keep EJ interested in creating his notebook since the printouts contained a number of worksheet games that were based on the book to keep him busy and help him be more familiar with the vocabulary. Getting back to the book, EJ found it quite an easy read even though there were a few words he had to look up for meaning or pronunciation. There are plenty of illustrations and sidebars so none of the pages look too daunting to the young reader. Beginning with a strong introduction that lays out the groundwork for the Casemakers Academy, Forensic Faith looks much like other YA reading books but this one differs by adding facts in to the fictional mystery (no big spoilers but it involves a beautiful Corgi). After meeting members of the academy you are introduced to the puppy mystery fairly early but there is more to come. 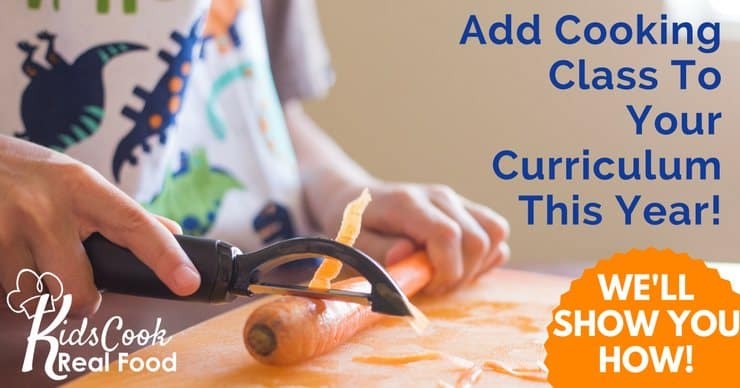 Soon your child will be introduced to another situation that will have them working to understand the differences between different types of faith in order to help a friend. I found EJ reading ahead at bedtime which is always proof that he’s enjoying a book. I also found that he had a lot of questions and ideas about what the team was facing. He definitely spent some time checking the Bible and meanings of particular verses. He also enjoyed the videos from the authors that go along with each chapter. They were easy to download to his tablet on Vimeo for watching offline. Perfect for our recent roadtrip. As a family who doesn’t always have reliable (or any) Internet access we really appreciate the ability to watch videos this way. I liked how this program worked as for our language arts and religion lessons and was fun to read for both of us together. Having some fun reading in the car while we waited for daughter #1 at workForensic Faith for Kids from David C Cook and Case Makers Academy was a great fit for our family. If you have some budding sleuths in your home I’m sure they’d love it too.